family – A quirky yet practical look at the inevitable. 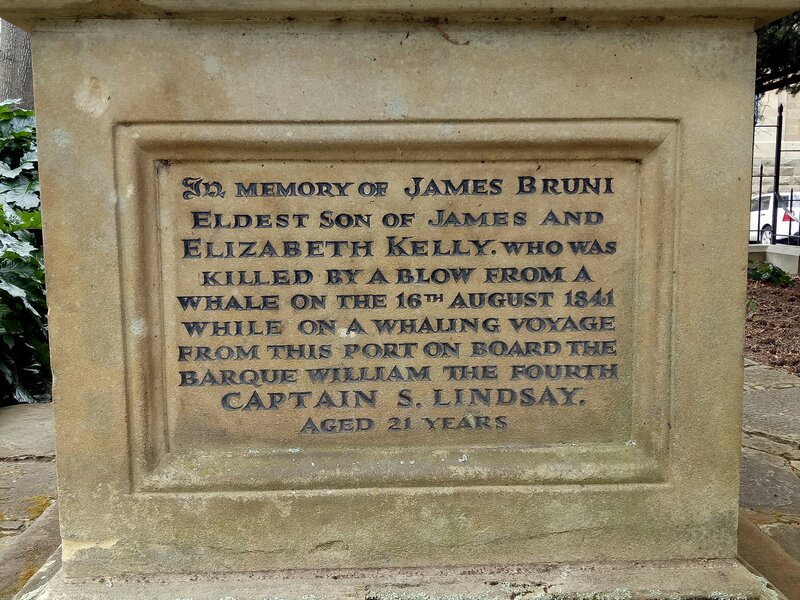 “Killed by a blow from a whale”: The tragedy of the Kelly family. One son drowned, one son died via a whale blow, four of their siblings didn’t see their first birthday, and another died when she was just 14. That was the fate of the seven Kelly children. The Kelly tomb in Hobart’s first cemetery tells an intriguing yet devastating tale of the extraordinarily difficult way of life in Australia’s pioneering days. Hobart Town was one of the great whaling ports of the ﻿ southern hemisphere. 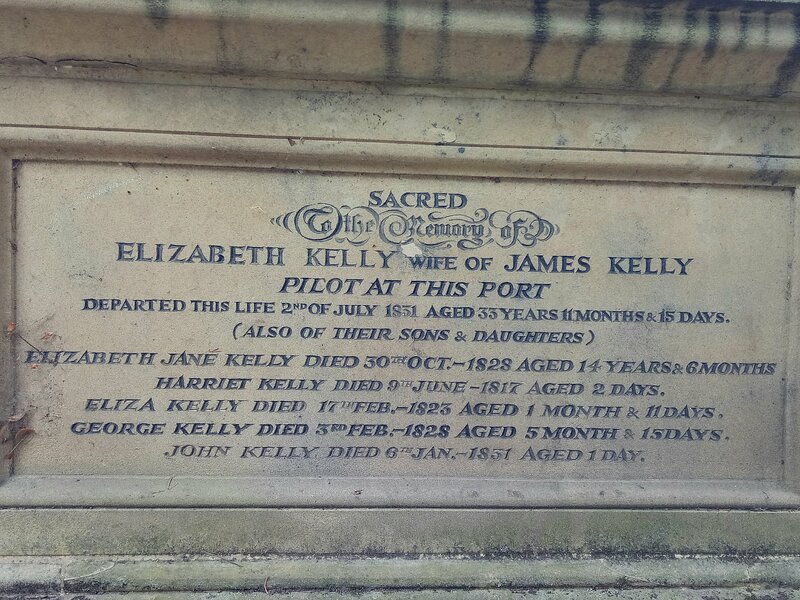 James Kelly, who died in a whaling accident, is remembered in the family tomb in Hobart. The children’s father, James Kelly, lived to be 66 but, despite being very successful, his latter years must have been a lonely existence. Not only did he lose all of his children, his wife Elizabeth died when she was 33. Described by historians as an “energetic explorer who circumnavigated Tasmania in an open 5-oared whaling boat, James Kelly named Port Davey and Macquarie Harbour on the west coast. A skilled seaman and successful whaling entrepreneur, Kelly became pilot and harbourmaster for the Derwent in 1819”. 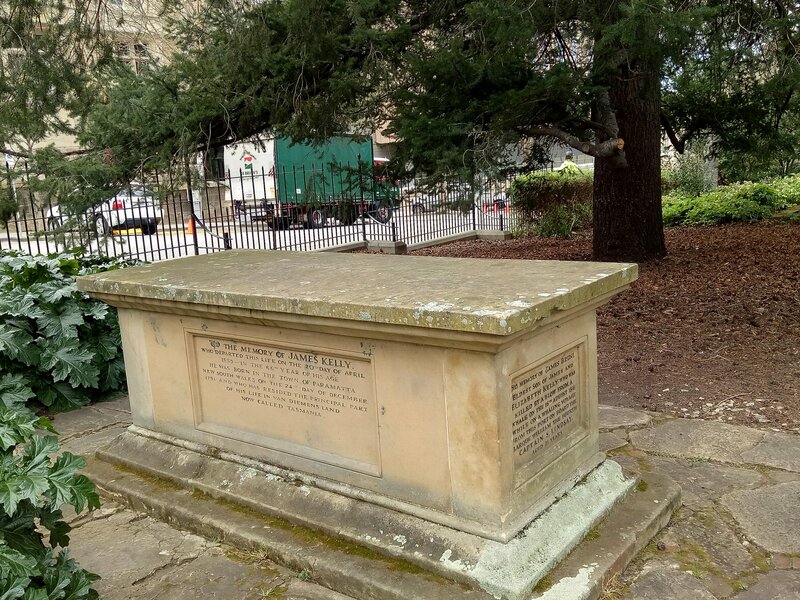 The nine members of the Kelly family are remembered on the four sides of the Kelly tomb in Hobart’s St David’s Park which was Hobart’s first cemetery. 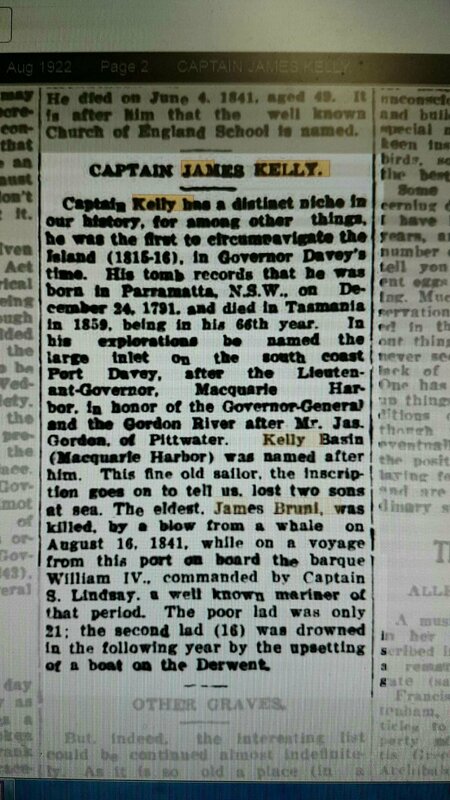 Thomas Kelly died in a boating accident on the Derwent River, one year after his brother was killed by a whale. 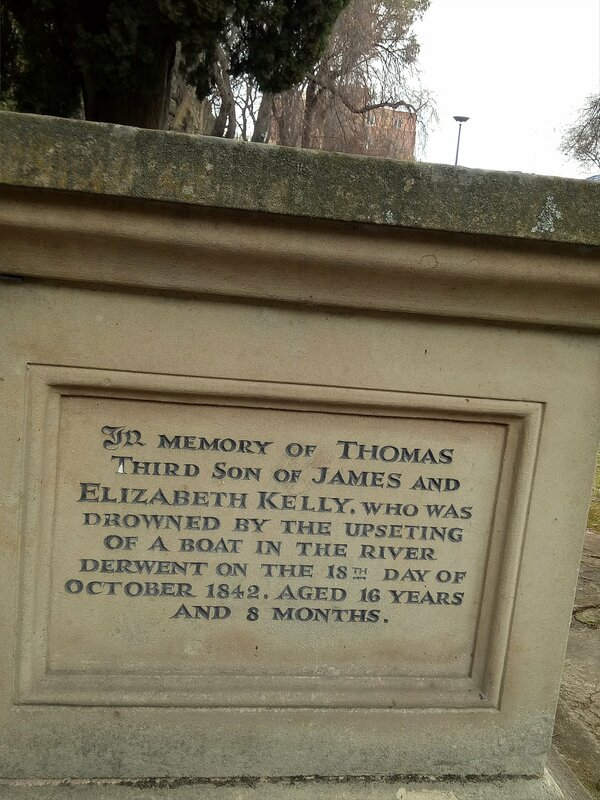 Elizabeth had lost five children by the time she died in 1831, aged 33.